Coming into a martial arts academy can be intimidating for the beginning student. Our goal is to allow our students to learn by focusing on the controlled drilling of techniques. The class also serves as a foundation for all students, teaching the principles of the art and committing the core movements to muscle memory. The warm up is designed to prepare your body for the rigours of training. 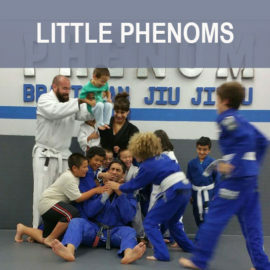 It usually involves some running around the perimeter of the mat, some calisthenics and some jiu-jitsu specific movements. Don’t feel self-conscious if there are certain things that you find unfamiliar or awkward. Nobody is judging you. Just try the best you can and sooner or later you will find yourself doing all the exercises with ease. Don’t skip the warm up. Trust me on this. Sooner or later you will get injured. This is where you will learn the moves and details of jiu-jitsu. It will usually involve your instructor demonstrating some scenarios and and the responses to them. Pay attention and try to visually absorb as much as you can. You will need to concentrate. Don’t try to write anything down – it’s an inefficient way to learn during the class. After this, you will pair off with another student to drill the techniques you learned. Most teachers suggest that you do the movement on each side, but at this stage in your development it’s better to just drill your strong side to proficiency. If you are lost or confused by the movement, don’t be afraid to get the instructors attention and ask for help. Now you will be given the opportunity to use the techniques you just learned in a live situation, against a resisting opponent. Understand that this part of the class is spent sparring in a specific situation. This is usually a set position (e.g. the guard or the mount etc.) or with a restricted set of parameters (e.g. only able to use a certain attack etc.) 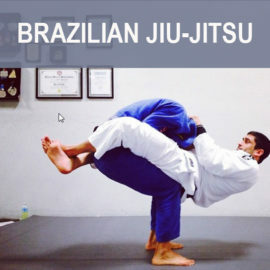 In my opinion, specific sparring is one of the most important aspects of jiu-jitsu training. The most vital of all drills, live sparring is what differentiates Brazilian Jiu-Jitsu, Boxing and other functional martial arts. Most academies do about 30 minutes of sparring towards the end of the lesson. Initially, when you have little technique and have not yet learned to move your body efficiently, you will find this incredibly exhausting. However, you can make it easier on yourself. My advice to you is this: Learn to relax as much as possible during sparring. Try not to grip too tight, as this drains you very quickly. Your grips should only as tight as required to hold on to your opponent’s gi and no more. Also, learn to control your breathing while you are sparring. The more smooth and even your breathing, the longer you will be able to last. This translates into more matches per lesson, which results into faster progress. This is a great time to stretch because your muscles are nice and warm after the intense sparring. Remember to exhale as you let your muscles relax into the stretch. Do not try to force the stretch too much as you risk injuring yourself. If you are very inflexible, I recommend you spend an extra 10-15 minutes after the class to work on your overly tight areas. A key ingredient to our training is. We educate our students how to have better control with their techniques, preparing them for live training. 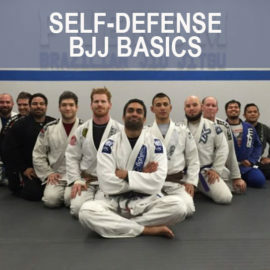 Because of how we’ve formatted these classes in particular, it has helped prevent injuries for students, an increase in control with their techniques, and key factors in what separates us from other martial arts academies.